1 Bedroom Semi Detached Cottage For Sale in Leicester for Guide Price £170,000. Burnaby's cottage has been completely refurbished by the current owners including rewiring and plumbing. The entire property boasts new fittings and fixtures throughout and has double glazed hardwood windows. There is a modern feel with intelligent electric heaters, Howdens fitted kitchen with electric oven and hob and intergrated washing machine and fridge. 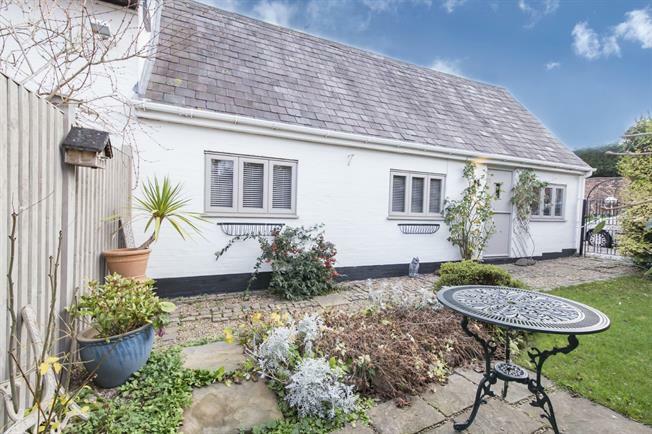 To the outside of the property is a private, enclosed, south-facing garden with potential for off-road parking and garden shed. Being accessed via pull down ladder this spacious facility is ideal to potentially convert in to further accommodation (subject to necessary planning) or just utilised as a storage room or place space.